Movement from political will to policy action as far as improving regional cooperation is ongoing but remains slow to materialize. Customs procedures are onerous, visa restrictions are high, while failure to produce value-added goods and to diversify from natural resources and goods different from neighbouring countries continues to stifle trade. That’s good but not good enough. In Africa, 90% of trade happens by sea , which means ports also need to be modernized, expanded and maintained so as to push greater trade volumes, enable government to collect more taxes and curb illegal activities. 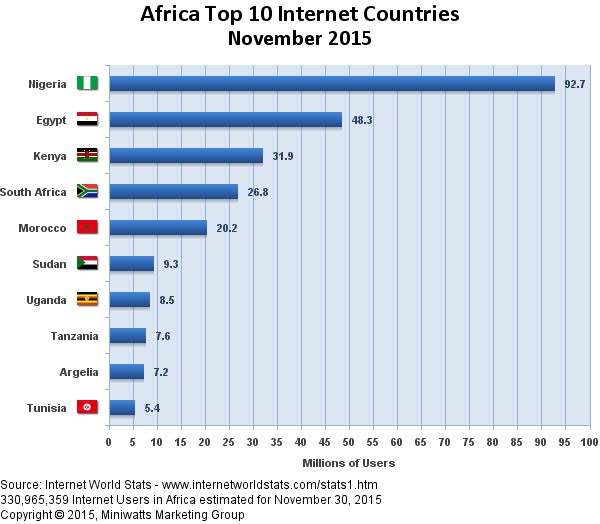 Some countries are leading the way – Nigeria, Egypt and Kenya, for example – but most countries on the continent are still far behind when it comes to internet penetration rates. 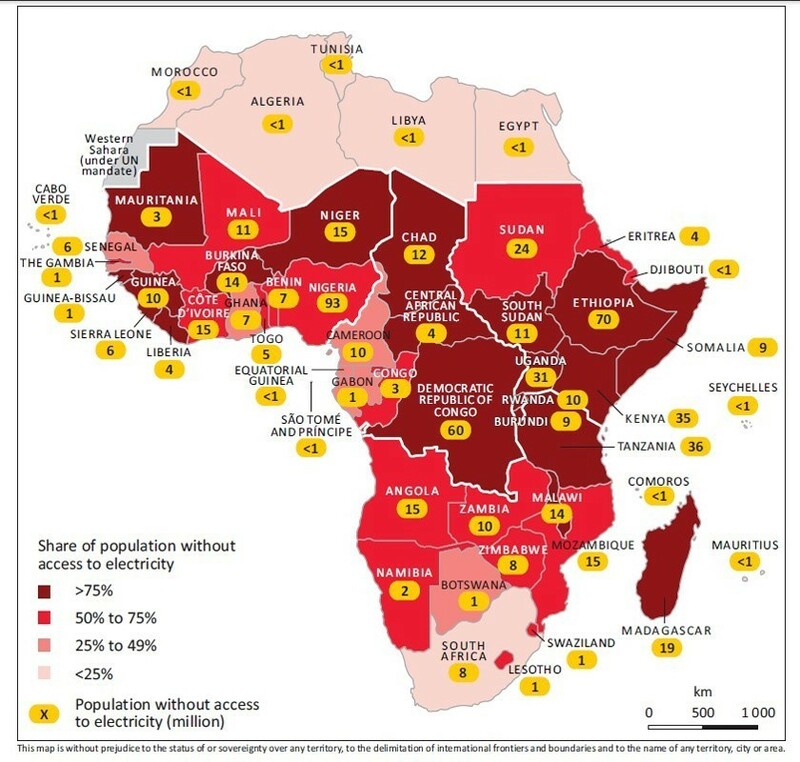 While the global average stands at almost 50%, penetration rates in Africa were just 28.6% at the end of 2015. It’s such a priority issue that the Forum has launched an online conversation , #internetforall. 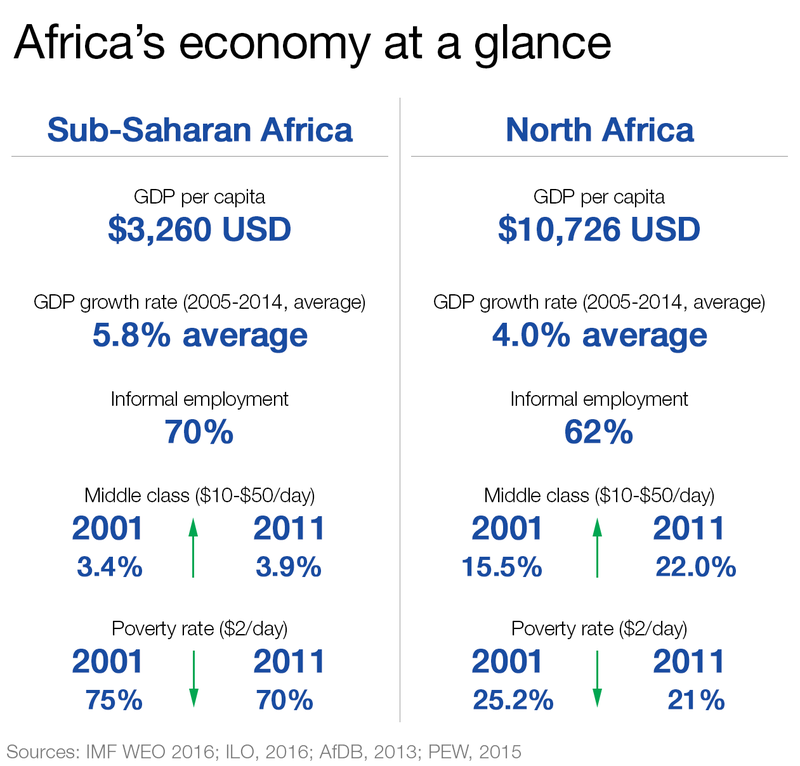 If we were able to connect more people on the continent, the boost to trade could be enormous. Apps such as M Farm , which connects buyers with farmers and enable farmers to sell goods at the correct market value, platforms such as Google’s Africa Connected , which allows entrepreneurs to use Google products to build their businesses, or Konga , an ecommerce platform known as Nigeria’s biggest online mall, are just two examples of how the internet could fuel trade. Governments must promote competition in the telecommunications sector, harmonize regional laws to ensure digital payments can be made across borders, and facilitate the movement, release and clearance of goods across borders . Technological solutions such as drones might be one way to go.